B2B publications can engage more readers through podcasts. My commute to and from work is long, averaging 45 to 50 minutes each way. Instead of listening to the radio play the same dozen songs on my commute, I really enjoy listening to podcasts. There are many podcasts on iTunes or Spotify, but I tend to choose the podcasts produced by journalists that offer in-depth reports on either crime or political news. These shows are both entertaining and educational, teaching me something new about the world. (As a Clevelander, I loved listening to the third season of the Serial podcast this past month, learning the ins and outs of Cleveland’s criminal justice system). They also give me ideas on how to tell more engaging stories. However, podcasts aren’t just tools for mainstream media outlets like NPR or The New York Times—they can also serve as a useful tool for B2B journalists looking for new ways to reach their readers. Last year, I began to dabble in podcasting when I was working on the Lawn & Landscape magazine team. I came across a source in the landscaping industry whom I knew would be much more interesting to listen to on a podcast than to read about in a printed Q&A. So, I recorded my interview with that source, edited the audio file and posted the recording to the magazine’s website. It probably took about two to three hours of my time. Yet that interview engaged hundreds of the magazine’s readers. Simple to edit: Podcasts don’t have to be complicated. They can be as simple as recording a Q&A interview and editing the audio file in digital audio editing programs. I use Audacity for editing. As a confession, I am not a tech-savvy person—I almost always encounter errors when I try new software programs—but I’ve seldom experienced issues when editing audio files on Audacity. It’s an easy tool to learn and it doesn’t demand too much time when editing (provided that the podcast doesn’t go longer than 20 minutes). Easy commitment for readers: In an on-the-go era where people have many commitments to meet, not everyone wants to sit down and read a long magazine article. However, they might have enough time to click play and listen to a recorded interview with an industry leader on a pressing topic. It’s something readers can easily commit to while driving, checking emails or performing menial tasks. Nice online addition: Videos help to boost a magazine’s digital presence, and trade shows or conferences provide plenty of opportunities for video. However, in seasons when there aren’t as many conferences, it can be hard to find engaging video content for a B2B magazine’s website. In these seasons, podcasts can serve as a nice addition to a magazine’s digital presence. Editors don’t need to be at a show or conference to make a podcast—this can be done from the comfort of their home or office. Easy to monetize: B2B publications can also sell ads or sponsorships into podcasts. This can be especially beneficial for magazines that might have experienced declines in print ads. 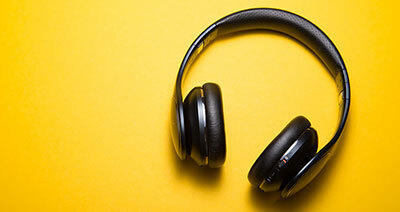 Overall, B2B publishers might not be able to devote the time and resources to creating highly in-depth podcasts like Serial did, but they can certainly devote some time to producing audio content that draws more readers to its apps or website. Podcasting requires some investment into buying software and recording tools to get started, but it can pay off in the long run. This year, I launched a podcast series for the Recycling Today magazine brand that I dubbed Fresh Perspective. The recycling industry, like many other industries, has faced some issues hiring and retaining young professionals. With the podcast, my goal is to interview a young professional under the age of 40 to highlight what prompted them to join the recycling industry and what they see as solutions to the hiring challenges. While the podcast series I launched is no Serial by any stretch, it’s helping to provide Recycling Today’s readers with useful information, and it has kept the website fresh with digital exclusive content. Are you interested in learning more about podcasts and other digital alternatives to print? Don’t miss GenerationB2B, ASBPE’s 2019 national conference, May 9-10 at the Poynter Institute in St. Petersburg, Fla. During his session “Print-to-Digital Transformations That Make Money,” Tony Lee will demonstrate how he uses podcasts and other alternative editorial products to generate revenue and solidify reader loyalty in his role as Editor at the Society for Human Resource Management.